Dekton is the latest and greatest innovation from Cosentino, the same company that brought us the ever popular Silestone. Dekton is quite a different animal to Silestone however in that is much harder, does not scratch and has no problem with heat. Whereas quartz surfaces are made with quartz crystals held together with cement, Dekton is made like stone is in nature: under immense heat and pressure with no cement. 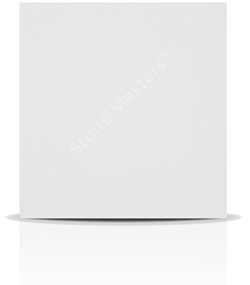 The individual molecules of Dekton are fused together in this way, leaving a material that is nearly indestructible. The properties of Dekton are certainly the main draw of this surface. Imagine an architects delight when we show her that we can run a sharp nail over the surface of Dekton without damaging it! When Dekton first launched, the range consisted of only a handful of staid colours in an interesting bumpy texture. However, the range steadily evolved to include some amazing book matched marble effect designs, as well as some stunning highly polished colours. 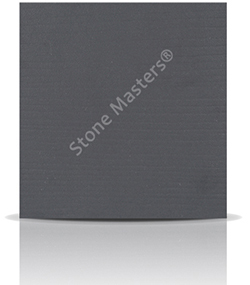 The polish achievable is significantly higher than standard quartz surfaces as there is no cement to dampen the luster. 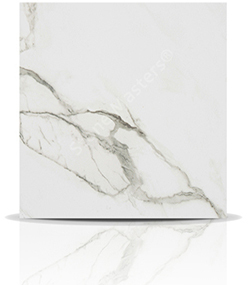 For a long time, stone fabricators like Stone Masters struggled with these large format porcelain like surfaces as the equipment and tooling to work the strong sheets properly we simply not available. Now, factories like ours have added large machinery like our waterjet cutter allowing us to make accurate and intricate shapes without such problems.